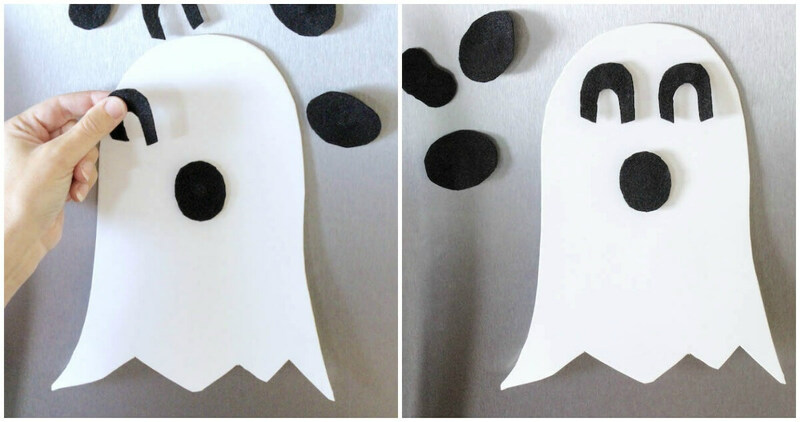 Inside: An easy Halloween sensory bottle made with simple party supplies. 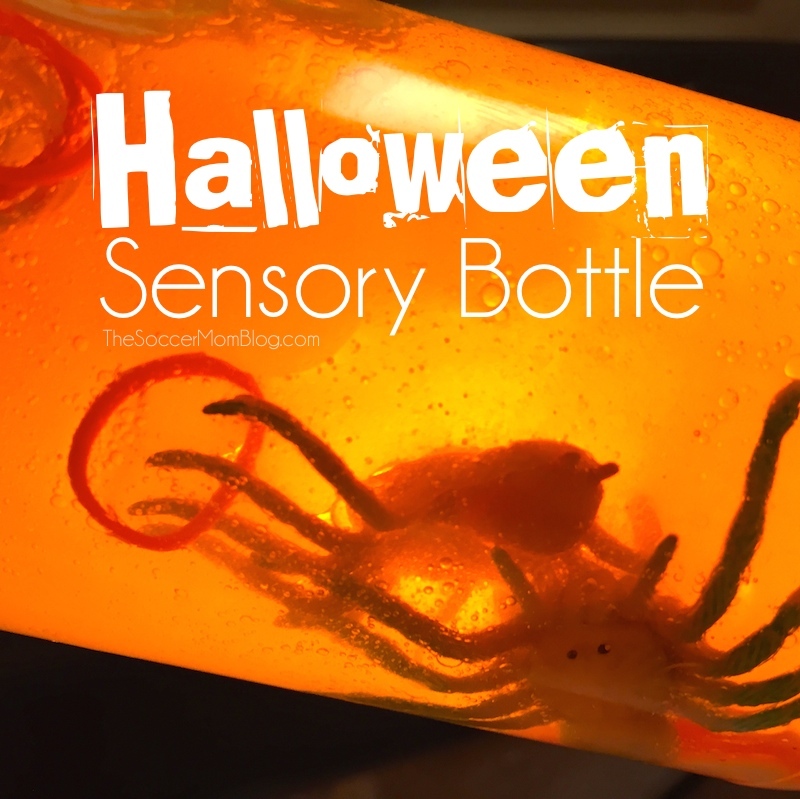 Since Halloween is one of our favorite times of the year, I thought it would be fun to make a festive Halloween sensory bottle. Spooky (but not too spooky) spiders float in orange and yellow liquid. Shine a light through the bottle for a fun glowing effect! Not a spider fan? You might love our Monster Eyes Sensory Bottle instead or our Falling Leaves Snow Globe! More benefits of sensory bottles can be found here. 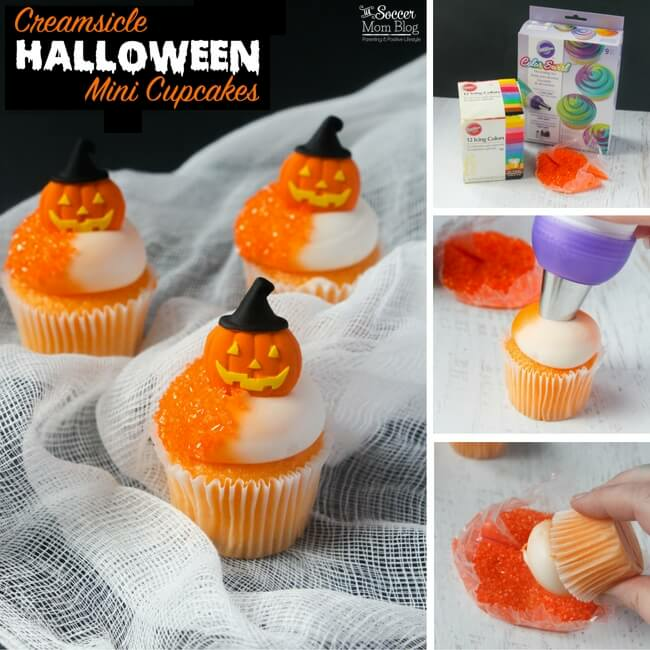 (I’ve included affiliate links for your convenience in finding supplies used to make this Halloween sensory bottle; disclosure policy available here). First, remove wrapper/label from outside of plastic water bottle and wipe clean. TIP: If there is any sticky residue left behind, try this trick! Massage Lestoil into the residue, then wash off with dish soap and warm water. Wipe clean with a dry paper towel. When outer surface is clean, fill bottle halfway with water. Add 1 drop red food coloring and 2-3 drops yellow food coloring. 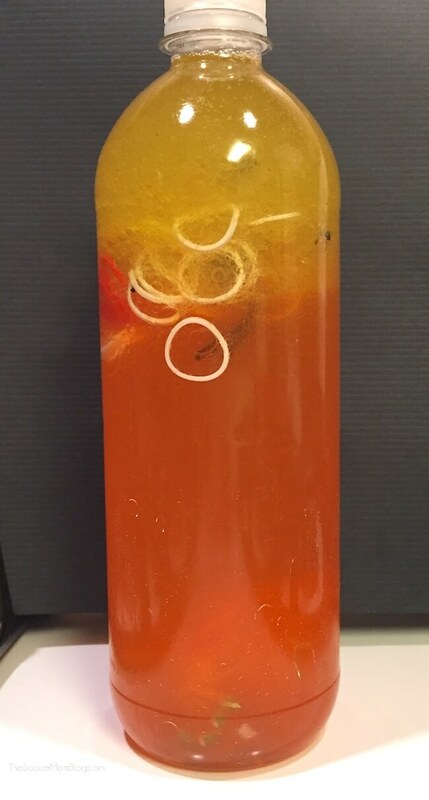 Put lid back on bottle and shake until the water is orange. Remove lid and add oil to fill remainder of bottle. You can use whatever type of oil you have on hand: yellow cooking oil (what I used) or clear baby oil. Either one will look awesome next to the orange water! Add a pinch of each color of loom band, the add the plastic spiders. Make sure you’ve got everything you want in the bottle and that it is almost completely full of liquid. (It’s ok if there is a small pocket of air). Seal the lid with a hot glue gun, allow to dry completely, and you’re all done! Ewwwww! So much Halloween fun though! I love it! 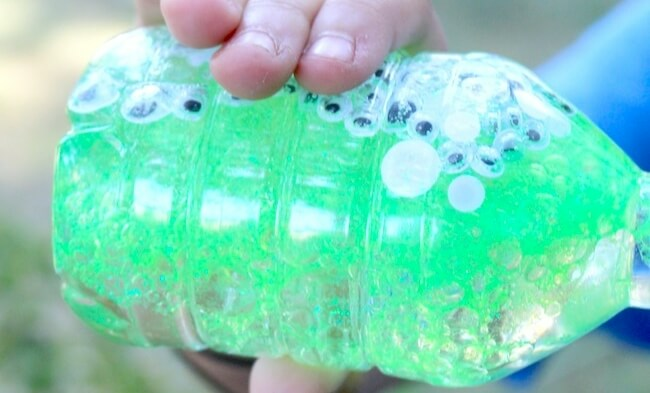 I used to make sensory bottles when my kids were wee, littles. I miss those days.